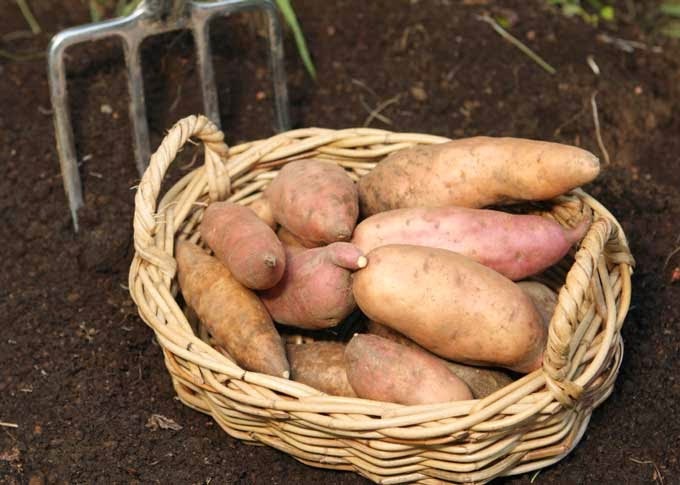 Sweet potatoes will be ready to harvest in late summer, approximately 12 to 16 weeks after first being planted, but this doesn't mean they need to be lifted immediately as the flavour and quality of a sweet potato crop will improve with the oncoming colder weather. In addition you will also have larger tubers. The tubers can grow a foot or more away from the plant, so make sure that you give the give plenty of space when lifting in order to prevent nicking and damaging the skin from the lifting tool. Any damage to the surface of the tuber can encourage fungal infections which will spoil the crop. Wait until the soil is dry before lifting your crop as sweet potatoes covered in wet mud are much more difficult to dry off in the sun. Dry the freshly dug sweet potatoes in the sun for several hours before move them to a curing room. Although there are no problems with cooking sweet potatoes fresh from the ground, they sweetness of their flavour will improves after curing. Proper curing will also help the tubers heals and skin damage incurred during harvest and improves their ability to store. The easiest way to cure sweet potatoes is to place them in newspaper-lined boxes. Next, place the boxes in a warm, well-ventilated room at approximately 30-35 degrees Celsius with about 85 percent humidity, and keep them there for a week or so. 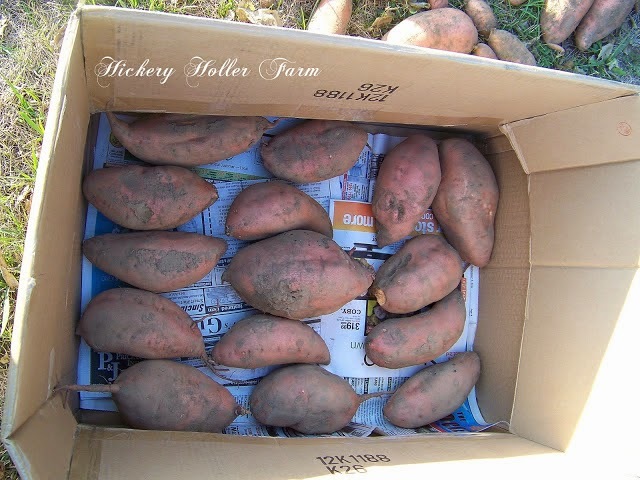 After curing, move the sweet potatoes to a cooler position when they can be stored 12-15 degrees Celsius and a humidity, of 75 to 80 percent. Once stored they should be eaten with a month.